Ninety per cent of all blockages are removed with our standard approach and this is due in part to the enormous amount of pressure the jetter can apply to any obstruction. Layers of silt, grease and other industrial waste are stripped from the interior of the pipe to relieve congestion and reinstate maximum flow. Over time, the dust collected from the roof and washed into your stormwater drains condenses to become a thick and mushy sediment along the base of the drain. Eventually this fills the entire volume of the pipe and the resulting pressure causes leaking to occur. Are downpipes leaking water during rainfall ? Wet patches in the lawn ? 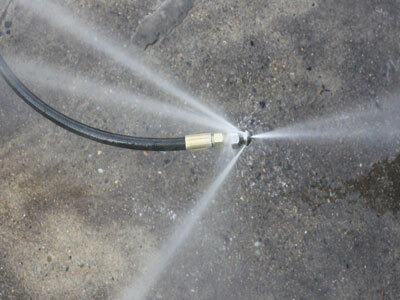 Our pressurised jetter is perfect for renewing earthenware and PVC stormwater drains.